I have a wahoo kickr snap. I do a spindown before every ride using the zwift calibration. Updated today. Now that feature doesn’t work anymore. You can spin up to 23 mph. It tells you to stop pedaling. Speed goes to zero and nothing. This is why I always wait to update. But I figured this time was just a new route added. Can’t affect the important stuff..... I am so tired of the Silicon Valley “we all mistakes” attitude in the reach world. I’m just going to get the poor weather gear out of mothballs and ride outside. I don’t have time for this garbage. The app seem like it would be great on windows but is bit too busy on my iPhone. But I will never know for sure. My sensors don’t connect correctly and tech support has been a series of apparent template responses. My case got elevated to tier 3 and than I never heard from them again. My free week ending I had plans to upgrade my bike to one of the expensive systems but have seen some reviews about issues of the two I liked. Since they can’t seem to be bothered to help me get started using a cheap sensor added to my existing bike I have no faith of getting any help if I have problems in a 1k purchased system. So buy or upgrade with caution as you might get left holding the bag searching for another app you can use. 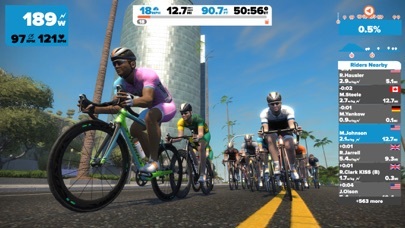 For a competitive or a fitness cyclist Zwift is AWESOME. No a real life replacement but when time or Mother Nature get in the way nothing beats it. Had knee replacement a year ago and Zwift was the best recovery tool I had. 3000 miles since surgery. Hands down the best purchase. 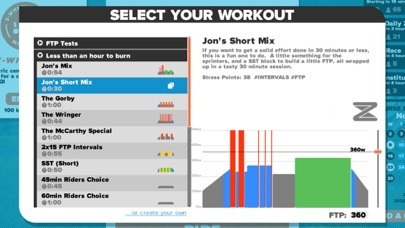 Kickr Core trainer plus Zwift is the greatest combination in the history of the bicycle. 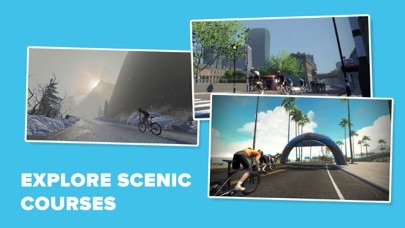 When working Zwift is an enjoyable experience...unfortunately their YouTube promotional videos & web site don’t tell the whole story. I purchased a whole new set up...wahoo kickr core, wahoo climb, Apple 4K tv & LG smart TV. So everything operating on latest technology. In short it does not work as advertised. Zwift won’t recognize swipe commands from Apple remote...takes 5-10 minutes every start up to navigate to required icons. Remote navigation during a workout is worse. 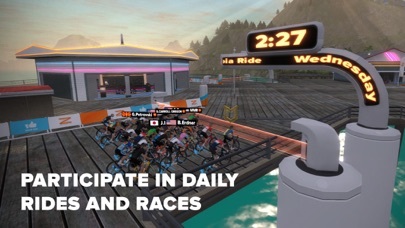 Zwift won’t recognize Wahoo climb during a workout...ascend/descend only occurs when you’ve completed workout & continue to pedal. Finally & most frustrating is that pairing shuts down in the middle of rides, cadence reading is inconsistent & wattage will stop reading causing you to stop. I’ve reached out to their support via email and they have been responsive...in short they confirmed their aware of the “bugs” but no ETA on solutions. They emailed back links to articles, discussions and suggestions on how to link around the issues. Though it appears I’d need a computer science degree to implement their suggestions. 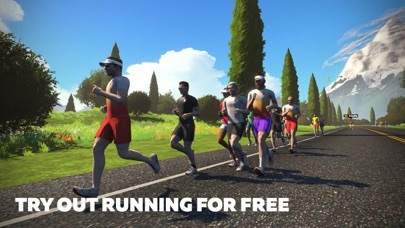 In summary the Zwift system does not work as advertised & promoted.